Relive the fantastic 10 year anniversary concerts, from April 2018. 'X - 10 Years of Sing Out Bristol', was our most successful concert to date, with glowing reviews from both audience and choir members. Two sold-out performances, over two nights at the stunning St Georges Concert Hall, in Bristol, followed by a fabulous after party at a packed out night club, in the city centre, saw us mark our first decade of song in typical Sing Out fashion. We performed 20 of our most loved favourites from the last 10 years, and brought new choralography to our enthusiastic audience. 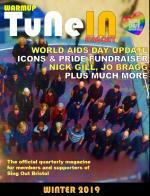 We were supported by two different guest choirs, Vibe on the Friday night and South Wales Gay Mens Chorus, on the Saturday. We were extremely fortunate to secure the services of the award winning Icon Films, in Bristol, who filmed both concerts for us. The resultant footage from three HD cameras, was then painstakingly edited into one concert film by our own BAFTA nominated film editor, Darren Flaxstone. We are very grateful to both Icon Films and Darren, for their efforts in making this video. 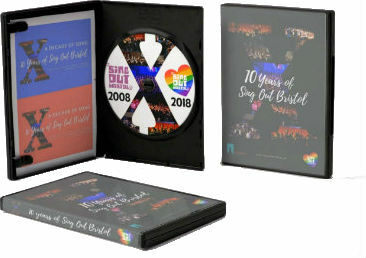 This is your chance to own the Sing Out Bristol performance on DVD, which blends the two nights into one performance video. As well as the DVD, you'll also receive links to our exclusive download pack, featuring the additional material shown on the night, as well as the guest choirs' performances and bonus extras. Select DVD - Collection: Order now and collect the DVD from us on a Tuesday evening. Have the DVD delivered to your door, for an extra £3. 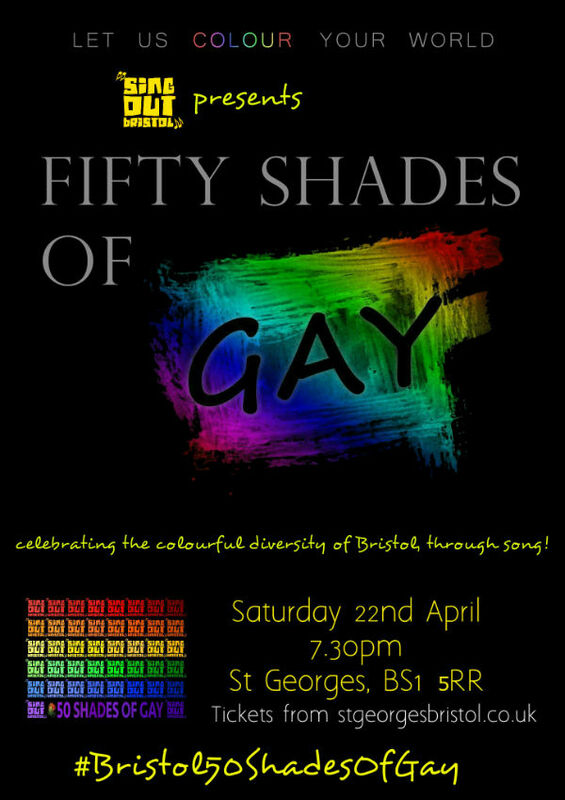 Back in April 2017, at St Georges, we performed our biggest and brightest concert to date, with our colour themed concert celebrating the vibrancy and diversity of Bristol.